Best natural photobomb ever! Mother nature was showing off as a late afternoon storm rolled in behind Oak Hollow Farm. 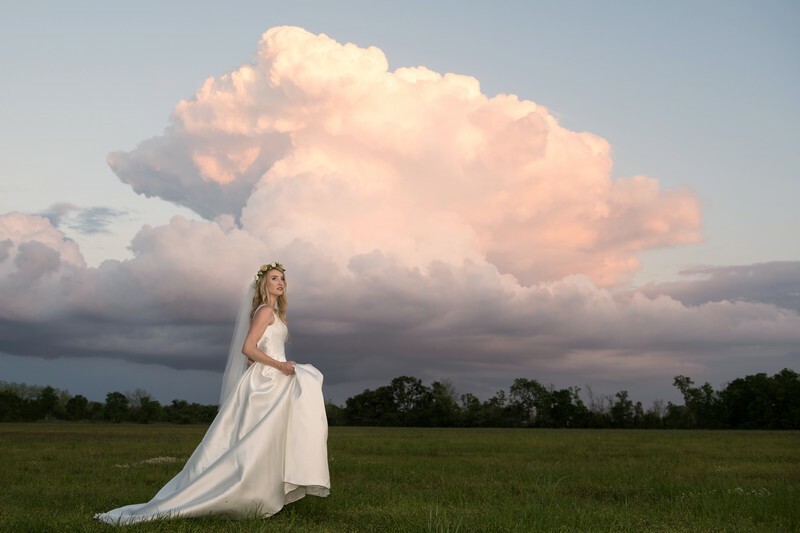 Wearing a Moonlight Bridal gown from Bliss Bridal in Fairhope, AL and barefoot, she happily wandered in the field. Location: 14210 S Greeno Rd, Fairhope, AL 36532.